As Europe’s major cities seek environmentally-friendly options for public transportation, local transit agencies and community planners are finding that new regulations – and new opportunities for cost reductions – are making Zero Emission Buses (ZEBs) increasingly attractive. We already know that hydrogen-powered fuel cell electric ZEBs offer the greatest potential, with flexibility and operability that compares to conventional buses. And recent studies from low-carbon energy experts like Element Energy demonstrate the momentum across Europe that’s building for fuel cell buses. In a previous article, we covered some of the key advantages of fuel cell electric buses (FCEB). In this post, we focus on the funding and cost reduction opportunities that are improving their economic proposition today for EU cities and local governments, and point to the prospect of even lower costs in the future. As the demand for green transportation increases, the price point comparison of ZEB to other options is changing dramatically. 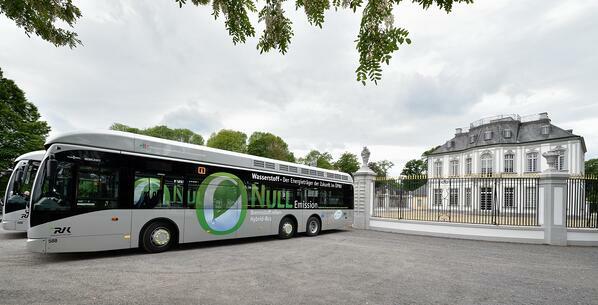 On the simple basis of purchase price, a typical 12m diesel bus costs approximately €300,000. An average battery electric bus costs €550,000, and fuel cell electric buses will reach €650,000 in the next European bus deployment program. However, the initial price disadvantage of FCEB is changing significantly. We have already been seen how technological innovation and increasing demand had driven costs down over time. Since the 1990’s, the early days of hydrogen fuel for transit, the purchase price of FCEB has fallen by more than 75%. We fully expect that trend to continue. By 2020, it’s reasonable to expect to see the price of a FCEB dropping below €500,000. The Fuel Cells and Hydrogen Joint Undertaking (FCH JU), a European public-private partnership, is dedicated to accelerating the market introduction of fuel cell and hydrogen energy technologies. To that end, they have succeeded in securing funding that drops the purchase cost of FCEB by €200,000, making fuel cell buses a more affordable zero-emission option today. To facilitate bulk purchasing, and the associated discounts, the Joint Initiative for Vehicles across Europe (JIVE) is encouraging regions across Europe to form regional purchasing clusters. The larger regional orders do more than simply lower costs: they are building momentum for fuel cell electric transit and encouraging competition. This in turn puts pressure on manufacturers (bus OEMs) to continue to refine their zero-emission bus technologies. As a direct result of JIVE’s purchasing power, the number of bus manufacturers offering hydrogen fuel cell electric options has tripled since the initiative began. While JIVE and the FCH JU’s initiatives have been effective in expanding the acceptance and growth of hydrogen-powered fuel cell technology solutions for public transit, they are not the ultimate solution. For continued, long-term funding, more EU cities must join procurement clusters, and more regions and countries must commit to bus purchases. Growing desire across Europe for truly zero-emission urban transport solutions will put pressure on authorities. Greater demand for more buses --clean buses-- will encourage comprehensive ecosystem development including hydrogen infrastructure that will enable the transition of FCEB's to a fully commercial solution in the near to mid-future. If you have any input or thoughts to share on this topic, feel free to leave a comment below. We'd love to hear from you. 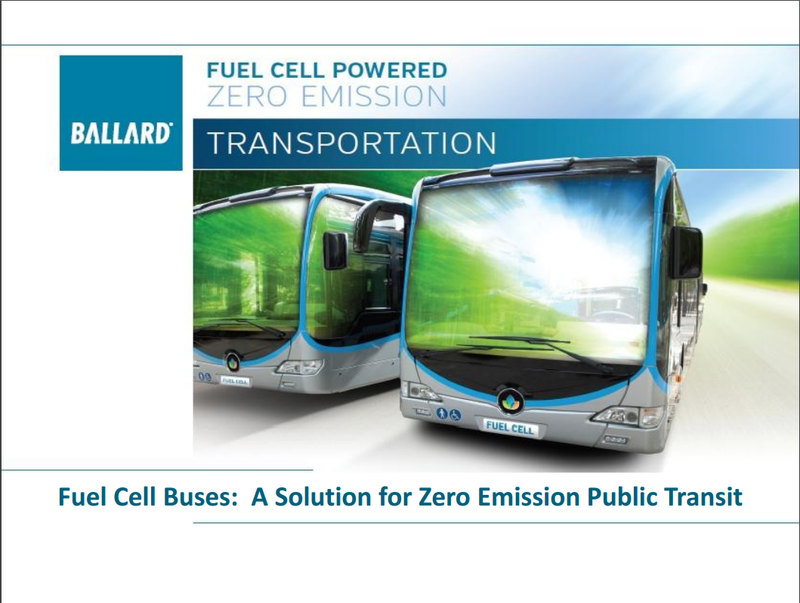 Learn more: access the whitepaper below for information on the process of converting conventional diesel-powered bus fleets to "zero tailpipe emissions" fuel cell buses, and the comparative benefits offered by hydrogen fuel technology.